Hotel deals, restaurant picks, great tours and museums, and more will make your staycation in Boston feel like a vacation. If you’ve ever come home from a trip and thought, I need a vacation, then you know that traveling can sometimes be less than relaxing. 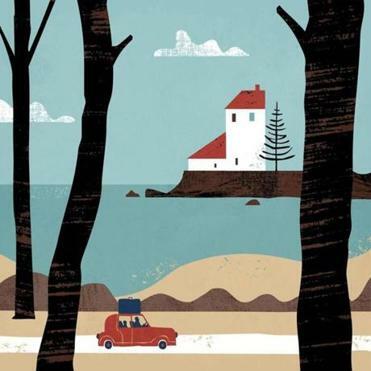 And that’s where a staycation — a vacation without travel — can help. 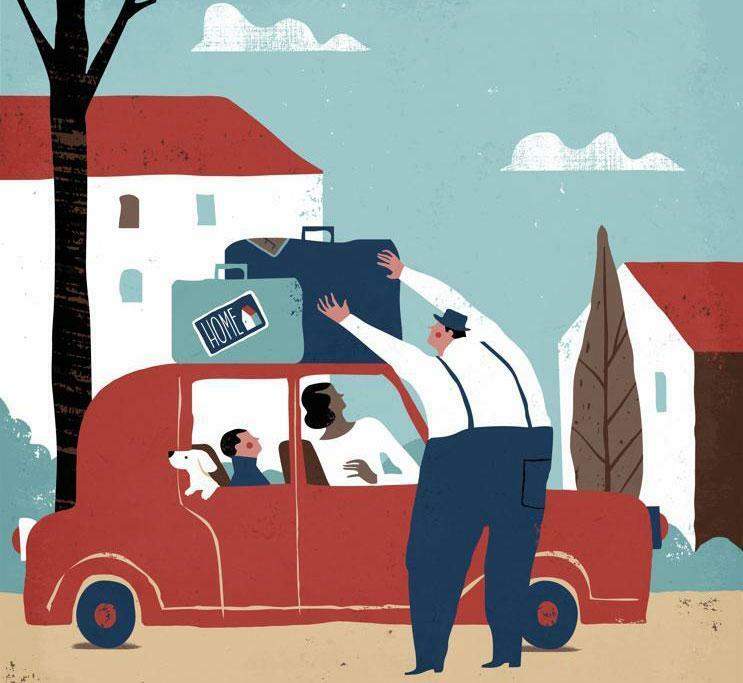 Staycations may have gained popularity during the recession and slow recovery, but there are reasons other than financial to consider a few days off at home: Your flight won’t be canceled; you don’t need a phrase book; and you can’t leave your toothbrush behind. So save some stress, and some cash, by enjoying a vacation close to home. Here’s how. Don’t just wing it. Choose, then read up on day-trip destinations and make an itinerary for the weekend or week. To make it feel special for kids, take a drive before you “check in” at home. It’s a simple formula: Treat your time off at home like a vacation and it will feel like a vacation. Ban housework, set an out-of-office alert on your personal e-mail account, even stop your mail for the week. If you don’t create some separation, your staycation can end up feeling like a really long chore-laden Saturday afternoon. Spend a little more than usual, budgeting for meals, entertainment, and souvenirs. Look at it this way: 79 percent of vacationers surveyed by Newton-based TripAdvisor said they planned to spend $3,000 on vacations in 2012. So go ahead and buy that “I [shamrock] Boston” T-shirt. You’ll still be $2,990 ahead. Why stop with a shirt? Do all the silly stuff you’ve never gotten around to. Go on a duck boat tour or an Upper Deck Trolley tour (both run year-round, and the latter is offering off-season extras through February 28). On a clear day, shell out the $14 to go to the top of the Pru. Window-shop on Newbury, and end the day with cannoli in the North End. There’s a reason tourists do these things: They’re wicked fun. 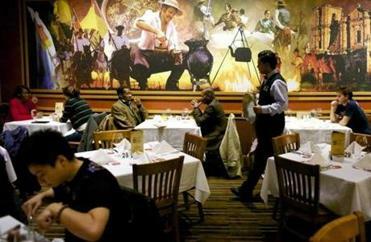 The snowy months may say otherwise, but Boston is brimming with places to make you feel the sun and late-night rhythm of Rio. Save on parking and avoid traffic by taking the T (just plan around busy commuting times — you’re on vacation, remember). You can also hail a cab or use your smartphone to summon a livery service such as Uber (uber.com) or Hailo (hailocab.com/boston). 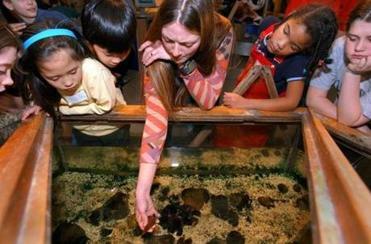 You can have a hands-on experience at the EcoTarium in Worcester. You can never go wrong visiting one of Boston’s big five museums — the Museum of Fine Arts, the Isabella Stewart Gardner Museum, the Children’s Museum, the Museum of Science, and the New England Aquarium. But you’ll find fun off the beaten path, too. If you plan to drive for a day-trip, make getting there fun. Forget those expensive travel games with the teeny-tiny magnetic pieces. I Spy and License Plate Bingo require little more than a few players and an open road. Boston is famous for being a city of neighborhoods. Spend a day — or more — soaking up the atmosphere in a new community. Check out the handy neighborhood brochures at cityofboston.gov/neighborhoods. 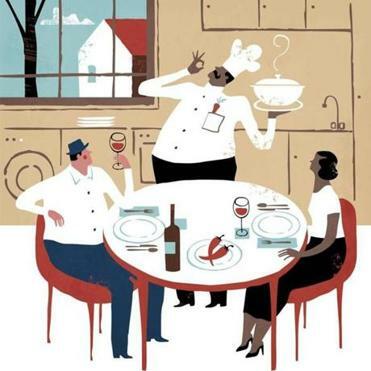 Take a vacation from meal planning, prep, and cleanup by hiring a personal chef. You’re saving a boatload of cash on travel and accommodations, so why not spring for some luxury services normally reserved for the 1 percent? > Drop off your laundry for wash-and-fold service. > A couple of small home improvements — like a deep cleaning or repainting a room — will last even after your co-workers’ tans have faded. Reserve these services and more on Handybook.com, a new site (developed in the Harvard Innovation Lab) that lets you choose from a list of fixed-price services available in your area. Staying local doesn’t necessarily mean staying at home. Whether you’re looking for a romantic night out or a family getaway, take advantage of special packages. The Liberty Hotel offers skating passes for the Frog Pond on Boston Common. 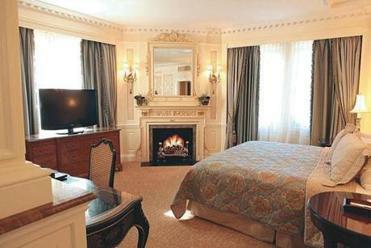 The Lenox in Back Bay has several rooms with fireplaces, and the chef will send up gourmet s’mores. Send postcards to grandparents and friends. Need some inspiration? Visit the MFA exhibit “The Postcard Age,” which runs through April 14. Theater The Glass Menagerie, featuring an all-star cast that includes Zachary Quinto (Spock in the upcoming Star Trek movie), just opened at the American Repertory Theater in Cambridge. Starting March 8, Boston’s Huntington Theatre Company stages A Raisin in the Sun, while Oliver! runs at the Wheelock Family Theatre, in the Fenway, through February 24. Film The Institute of Contemporary Art on Fan Pier is screening Oscar-nominated short films throughout February and March. If you’re staycationing because you’ve just welcomed a new bundle of joy, try the “Bring Your Baby” matinees at AMC theaters in Framingham, Burlington, and on Boston Common the first Tuesday of every month. Events If you opted out of a trip to Orlando, you can still see “Disney on Ice Presents Rockin’ Ever After” at the TD Garden in Boston through February 24. Watch chocolate being made in Somerville. 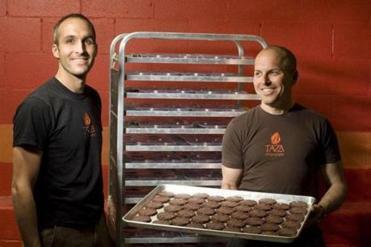 The Taza Chocolate factory might not have Willy Wonka’s lickable wallpaper, but it does have organic dark chocolate and vintage candy-making machines (561 Windsor Street, Somerville, 617-284-2232, tazachocolate.com, reservations required). You can tour the Samuel Adams Brewery Mondays through Saturdays (30 Germania Street, Boston, 617-368-5080, samueladams.com) and the Harpoon Brewery on weekends (306 Northern Avenue, Boston, 617-456-2322, harpoonbrewery.com). Farther afield, take a weekday self-guided tour of the Cape Cod potato chip factory (100 Breed’s Hill Road, Hyannis, 888-881-2447, capecodchips.com). > You Say You Want a Revolution? Visit thefreedomtrail.org (or call 617-357-8300) to schedule a 90-minute tour with a costumed historian. Tours start at $10 per person ($125 minimum per group), and you pick the date, time, and route. A typical Freedom Trail tour goes from Boston Common to Faneuil Hall and includes 11 of 16 potential sites. Or for about $125 an hour, your family can enjoy a custom walking tour of historic sites from a private tour company like Boston Your Way (617-792-9710, bostonyourway.com). Back home, watch the Disney classic Johnny Tremain. Celebrate our first president’s birthday on February 22 by baking a Washington cake — you’ll find the recipe for it and other period dishes at the Old Sturbridge Village website (osv.org/explore_learn/recipes.html). Start with a visit to the Higgins Armory Museum, which features 4,000 pieces of armor and weapons (100 Barber Avenue, Worcester, 508-853-6015, higgins.org). Eat like a king with recipes from A Feast of Ice and Fire, the cookbook in which two local cooks reproduce dishes from George R.R. Martin’s best-selling fantasy series “A Song of Ice and Fire.” Daunted by ingredients like locusts? Try Boston’s famous Medieval Manor, where mussels and roasted herbed chicken are served up alongside swordfights and jousting. The Sunday show is discounted for families, but parents should know that the place rates itself “PG 15½’’ (246 East Berkeley Street, Boston, 617-423-4900, medievalmanor.com). During maple sugaring season (late February to early April), visitors can learn how syrup is made at several Mass Audubon locations. One is the Ipswich Wildlife Sanctuary, which hosts the February Flapjack Fling & Sugaring Tours on February 23 (978-887-9264 or ipswichriver@mass-audubon.org; registration required). You can also visit one of the Bay State’s many family-run sugarhouses. The Williams Farm Sugarhouse (491 Greenfield Road, Deerfield, 413-773-5186, williamsfarmsugarhouse.com) serves up treats like maple sugar on snow with the traditional side of sour pickles. Find more farms at massmaple.org. 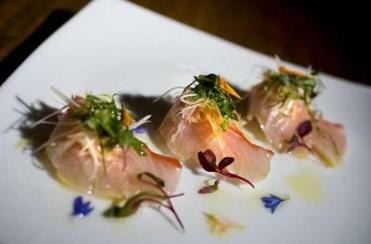 Feel the heat at CoCo Key in Fitchburg. 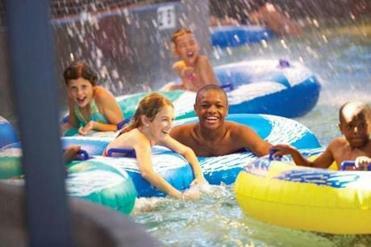 Take a dip without taking a trip at these hotels, which offer day passes (most cost $25 to $35 per adult, $5 to $25 kids) for swimmers. Your staycation might not feature boardwalk treats or a midnight buffet, but you can still indulge with a few of the area’s most decadent delicacies. 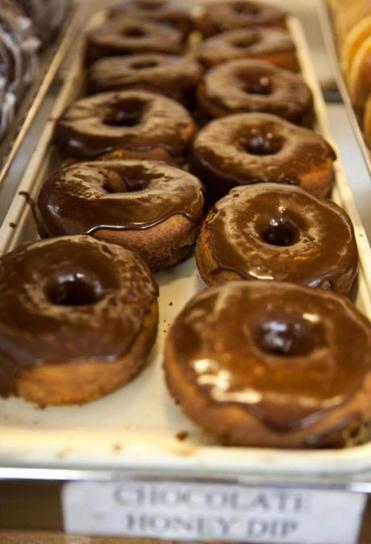 Try the local fare at Kane’s Donuts in Saugus. 16 Even if you’re heading for a familiar destination, make it a pretty drive. Find the best at byways.org, myscenicdrives.com, and similar websites. Transform your house into a romantic B & B. Go upscale — Frette sheets, organic toiletries — or just visit the dollar store for new hand towels, drinking glasses, and serving trays. Fill a “welcome” basket with soaps, lotions, toothbrushes, tea bags, and other items you’d find in a well-appointed guest room. Turn down the bed and leave chocolates on the pillows before you go out for the day. Now’s the chance to try cooking all those recipes you don’t make time for in everyday life. Hit your local library for a selection of international cookbooks and then hit the streets for authentic ingredients. Find a comprehensive list of ethnic food markets in the area at bostonmuseum.org/bostonethnicmarkets.html. Use some of your time off to give back to your local community. Hospitals, schools, nursing homes, and area historic sites often need volunteers. At bostonvolunteer.org, you can peruse the calendar of events for no-commitment or last-minute opportunities. Events are sponsored by well-known charities like Rosie’s Place and Habitat for Humanity. “The site makes it easy for people to volunteer and help people,” says founder Josh Konoff. For families, the online calendar at www.bostoncares.org allows you to search for age-appropriate events like Kids Who Care Day at the Greater Boston Food Bank on February 20 from 1 to 3 p.m.
Save a trip and dine at EVOO in Cambridge, O Ya in Boston’s Leather Distict (above), or The Butcher Shop in the South End. Stephanie Tyburski is a freelance writer in Arlington. Send comments to magazine@globe.com.